Plae has been outfitting kiddos with cute, washable kicks since its 2012 launch, enjoying rapid growth (and $7 million in Series A funding) in its first five years. Founded by former Puma chief designer Ryan Ringholz, who brought on self-proclaimed "tech guy" Jonathan Spier as CEO, the brand is one of those Bay Area darlings that seemed to find immediate success. But why should kids get to have all the fun shoes? Starting today, adults can Plae, too. 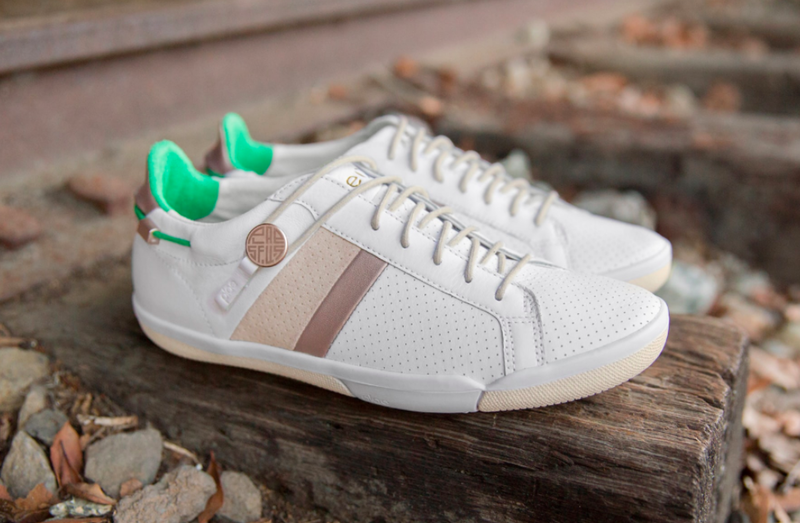 The company is launching its first-ever adult line, filled with streamlined leather sneakers priced $89.95 to $160. These are not your run-of-the-mill runners or slip-ons. Much like the kids' styles, Plae's adult line features tie-less shoes, both in lace-up and velcro options. The full lookbook is below. For now, you can only shop Plae's grown-up shoes through the brand's website, but they'll be available in stores starting Spring 2018. As part of the launch, Plae offered a limited run, first edition of its Mulberry-style sneaker, which it will unveil tonight at its launch party. Plae is taking over the Coin-Op Game Room (508 4th Street) tonight, September 28, from 5-8pm. The party will be going on two levels, but this is where it gets a little complicated. If you're not on the guest list, (which is invite only), you can still visit the ground level of Coin-Op for games and drinks. Plae will have a mistress of ceremonies on that level, who will be facilitating games and handing out prizes. Those prizes include things like a trip to the VIP lounge on the second level, a pass for the extra-VIP speakeasy on the second level, a free pair of shoes, and more. If you haven't already pre-ordered a pair of the first-edition Mulberry sneaks, the only way you can get a pair is to purchase them tonight. I don't know what your evening plans are, but I suggest you go Plae at Coin-Op and try to score some sweet sneaks.